Bonjour my Beauties, I had the opportunity to collaborate with Vaughan, a brand that offers the most beautiful silk shirts. 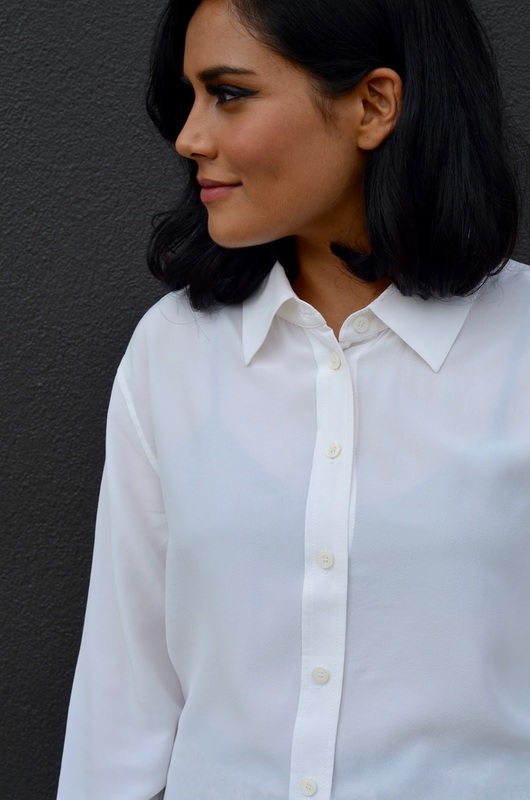 As you probably read in my previous articles, I am a big fan of shirts, I believe every women should own at least one perfect fitted shirt or like 20 (like me:) It is such a versatile piece, can be dressed up or down with a casual jeans. So if you don't have one yet please run to the store to get one because it is a must have in your wardrobe. I am wearing size S from Vaughan and it fits true to size.